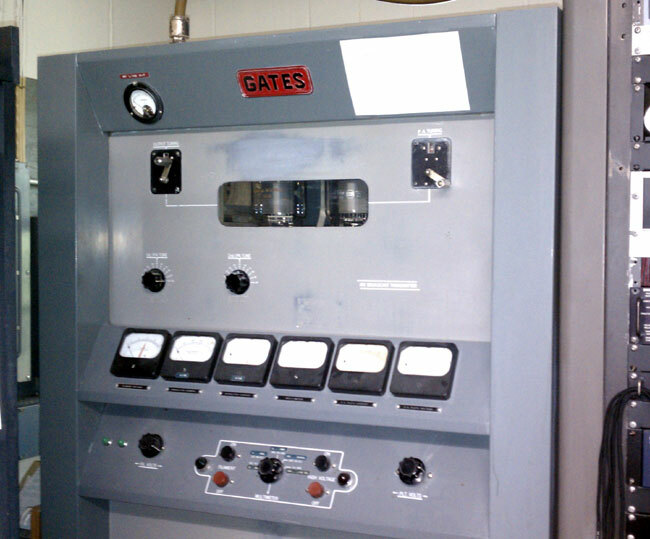 WBEC should keep that Gates transmitter,…even if it doesn’t get to run very much. That is a piece of living radio history and should be kept that way. That is a neat looking vintage tube transmitter,…keep it,WBEC! Dewey, no worries, I don’t think that transmitter is going anywhere soon. That’s a nice old rig! Always good to see one of the classics still serving as a backup. I love these transmitters. I have a BC-1J in the basement awaiting conversion to 160/80 meters. You see quite a few BC-1Ts but very few of these. It was worth the 1,000 mile drive to Longmont, CO where it had come up for sale after the local station had let two storage lockers of gear go to auction for back rent. The guy I bought it from had paid $200 for both lockers and was going to take it all to the scrap yard until a friend told him he could sell it on Ebay, where I bought the BC-1J in very nice shape. He sold all the other gear including a MW-5 to other people. I hauled it home in a 16 year old Mazda mini truck, all 900 lbs of it! Does anyone have couple of inter stage transformers, or amp deck? If I had spares for the BC 1J, I’d oblige you. I need a parts rig for the BC1J I care for. The BC1J wasn’t built beyond 1-2 years at most. This rig was the transition between the Parker Gates era BC 1F and the Harris era and George Diveley’s Value Engineering mandate beginning with the BC 1T. A beautiful example of mid 50’s transmitter design. 833s modulated by 833s was a very durable and effective design. Many of the Gates and RCA transmitters of that era have found new life in the amateur radio service with serious AM operators.